It's easy to focus on the beauty of all of the Victoria's Secret models — they couldn't be more #flawless (they're all basically walking unicorns). 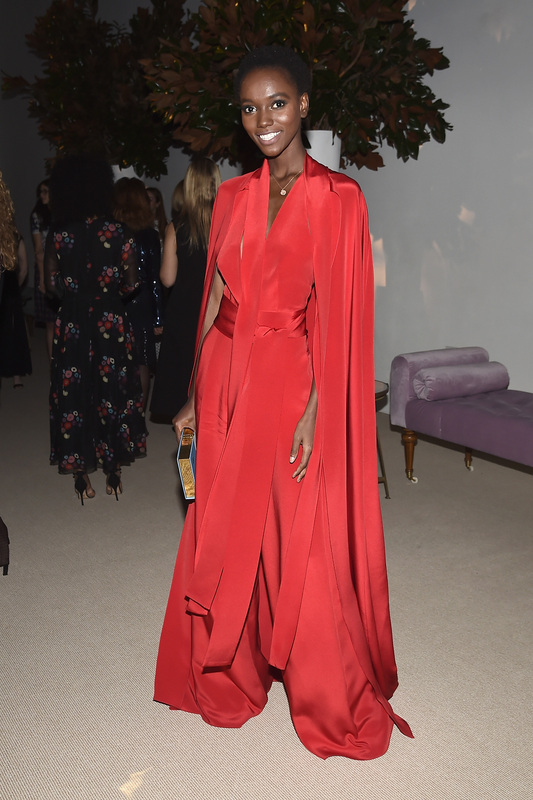 But then someone like first-time Victoria's Secret model Herieth Paul comes along and shows us all that there is more to the Angel squad than what we see walking down the runway. Paul, who's only 20-years-old, is one of the 18 new models who will be walking for their first time ever in the VS show. She's no stranger to the modeling industry, however — she's walked countless runways, appeared in a lot of major ad campaigns and editorial spreads, and was even named Maybelline's global spokesperson — but this is her first time appearing in such a major, televised event, which she'll have to attend in her underwear. This marks her transition from high fashion into a more commercial arena, which means she basically has the whole "crossover superstar" thing down pat. Paul is not only beautiful (though she certainly is that), however — she's cool, kind and cultured, to name a few of her most obvious attributes (that I picked up from her Instagram account). From her volunteer work to her DIY skincare routine, here are seven things you need to know about Herieth (pronounced "Hariett") Paul. Even though she's never walked the VS runway before, she's walked in pretty much every other fashion show ever. She's modeled for Diane von Furstenberg, Lacoste, Tom Ford, Calvin Klein, Armani, Cavalli and 3.1 Phillip Lim. She also casually appeared in Tom Ford's FW13 ad campaign, which was named one of the top ten campaigns of that year. Paul is originally from Tanzania, but moved to Canada when she was 14 when her mother, Nsia Paul became a diplomat at the Tanzania High Commission Ottawa. Paul was named the face of Maybelline in early 2016. Quite clearly, she was "born with it." In 2015, Maria Borges was the first ever model to walk the VS runway in natural hair (what took so long?! ), and it's so exciting to see more models following suit this year. When she's not strutting her stuff on the runway, Paul is volunteering at her mother's orphanage back in Tanzania which helps provide educations to underserved girls. Is there anything this woman can't do? In an interview with Glamour, Paul shared her secret serum recipe for keeping her skin glowy. She combines food-grade hyaluronic acid with distilled water and lavender oil, then refrigerates it until it turns into a gel. Does anyone else smell a new line coming? ...Which means we all at least have one thing in common with this soon-to-be supermodel. "Any kind of coconut water- straight from the coconut, in a bottle, in a jar, packet, I love coconut water," Paul said in a video on her Youtube channel. "Anywhere in the world I go, that is the one thing I find is coconut water and I've just stuck with it. It's been my favorite drink since I was a baby."